If you’re a parent of a young athlete you know that the costs of playing a competitive sport seem to never end. Saving up money ahead of time to cover the cost of youth sports is important so your kid can keep playing the game they love. I’ve been keeping an eye on the amount of money we spend on our kids athletics and a few months back I shared a bunch of tips for cutting costs on sports equipment and fees. Today here are some tips for saving and managing the money needed to fund their athletic adventures. 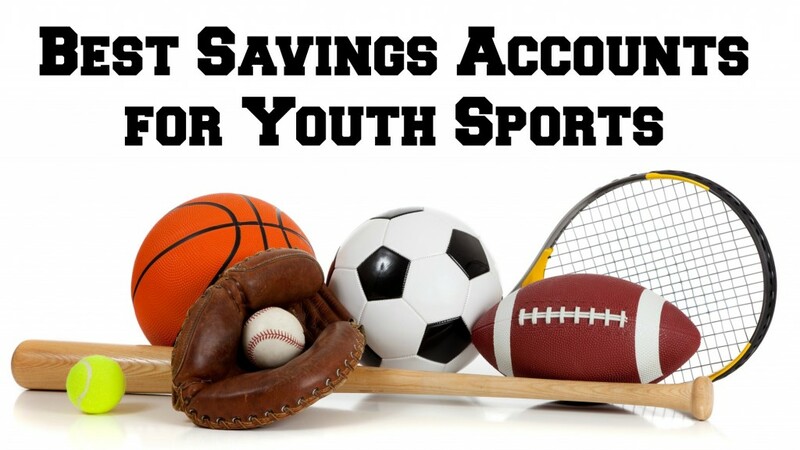 Keep these things in mind when figuring out the best bank account to use when saving up for youth sports. The nature of many competitive sports teams is that you pay fees to the team or coach at the start of every season. Your bank account balance will grow as you save over the off-season then suddenly plunge once you write that big check at the start of the next season. Accounts that charge a minimum balance fee will simply eat into your savings when your total savings dip below that minimum. There’s a new term to describe the growth of travel teams and tournaments in the US, it’s being referred to as youth sports tourism. If your team travels to different cities or states to compete in games or tournaments its nice to have a travel friendly bank. Savings accounts that allow you to check your balance on your phone and transfer money to your checking account come in handy when you’re on the road. You’ve opened this savings account to save up for sports, not to pay fees. So be sure to avoid banks that charge a monthly fee to have the account. Avoiding per account fees is particularly important because you may want to have different accounts for the multiple types of costs associated with youth sports. Some costs are relatively fixed. For example you may pay the same amount of league fees every season. Other costs are more variable, take the cost of equipment for example. You have the choice of buying the high end, name brand equipment that has a much higher price or the more cost effective brand. It could be that you want to pay the recurring fees out of one account and the equipment fees out of another. You want to make sure you’re easily able to access the money you’ve saved. Whether you need to write the team manager a check for uniforms or use online bill pay to send money to the coach for training fees be sure its simple to get to your money. If your putting your money into a savings account chances are you’ll first have to transfer some of it into your checking account to make a payment. As long as the bank offers an online interface or mobile app to easily transfer the money it shouldn’t be a big hassle. Something else to consider. If you’re a team manager or coach, being able to deposit checks into your account using your phone is a really nice feature when you’re handed a stack of checks at practice. If you’re using crowdfunding to raise money for your team you also want to be able to easily move the donations into your checking or savings account. Professional athletes sometimes get hung up on money as they negotiate contracts but your children aren’t worried about the money. Your kids just want to play the sport they love. Hopefully these tips will help you save and manage the money needed to pay for hours of fun on the field or court next season. Hi Ben, thanks for the insights. Is there a way in which I would be able to find out about the travel-friendly banks? My son was very active with sports. My credit union offered ways to create separate savings accounts to specifically auto deposit amounts into from my paycheck. It made it easy to set up a special sports account and have it fed throughout the year. We could access at anytime like any savings account and having it diverted from my check upfront meant I learned to not miss the missing amount. Tommy, that’s a perfect way to do it! If your kid plays multiple sports you could even create a different account for each sport and have the money separated out that way. I know some sports are a lot more expensive than others due to a combination of equipment and travel costs.